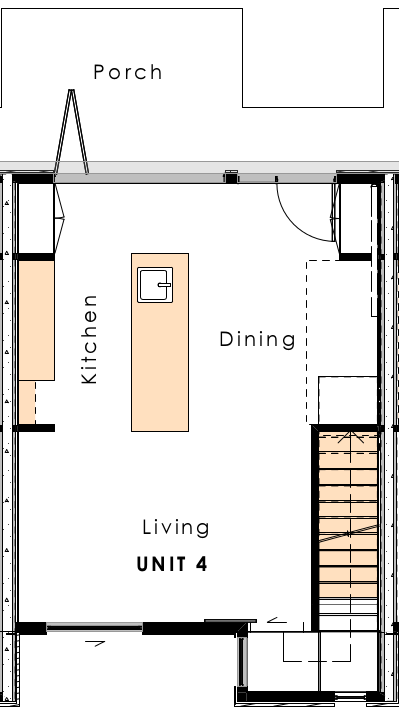 This townhouse is marked as Unit 6 on the plan. The townhouse is north facing for the sun, giving a view of the courtyard, seeing what's happening. 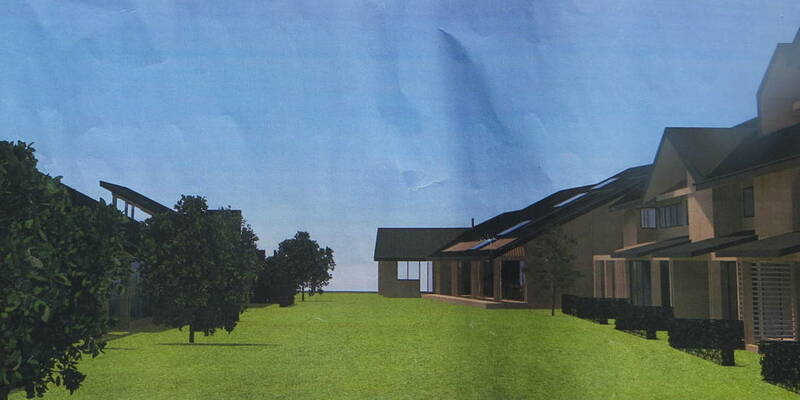 It features an open plan ground floor of a living, kitchen and dining areas (8 m long x 6 m wide). 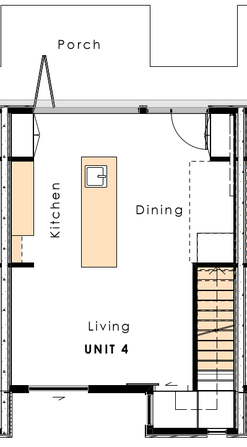 The living area has a sliding door leading to a small backyard sitting area adjoining the street (3.5 m x 6m wide). Upstairs has a larger north-facing bedroom, and a south-facing bedroom with a small balcony. Includes one bathroom. 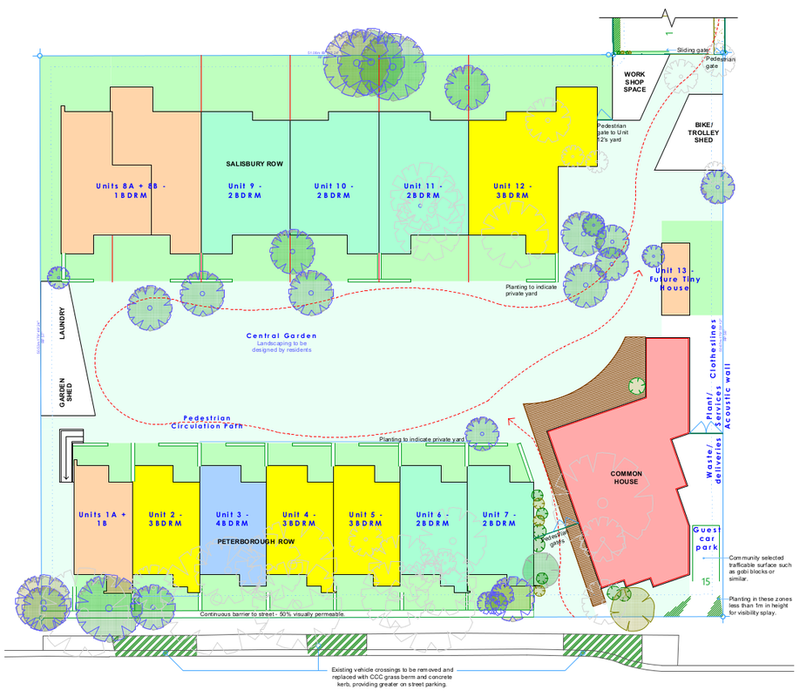 Includes 5 m x 6 m north-facing front yard adjoining courtyard separated by low plantings. 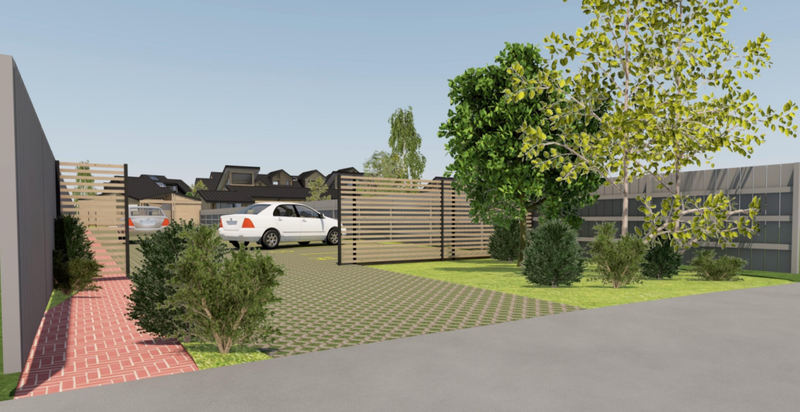 The house includes off street parking in the adjoining Salisbury Street section. Includes two bicycle parks in the bike shed.